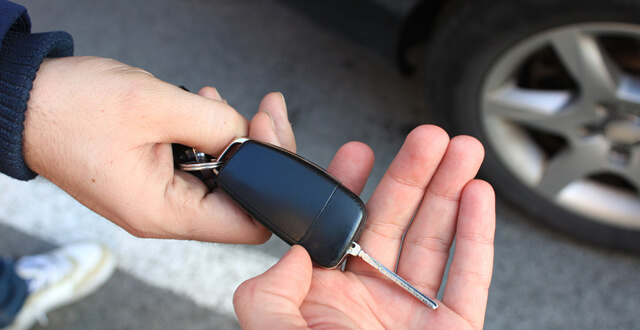 Buying and selling used cars is not a difficult undertaking. Most Americans have done this at least once in their lifetimes. When you sell a used car rather than trade it in at a dealer, you usually get a better price for the vehicle. Sometimes, you can get a good deal on a used car when you buy it through a private sale as well. A classic car is definitely used, and it’s much older than the average car on the market, but it is a bit different. To sell a classic car, you want to be sure you get the right value for it. By preparing for the sale and marketing properly, you may be able to connect with the right buyer and get a very good price for your classic car. Fix it up – Now is the time to give that classic car a tune up. You may not be able to get it running like new, but if it runs at all, you will get a better price for it. Older cars required more maintenance than cars today, so you want to be sure to bring the maintenance up to date. Change the oil, put in new spark plugs and do all the low-cost maintenance items that make a classic car engine hum. Clean the car – Most classic cars have a unique look you can enhance by shining things up. Polish the chrome, clean the hubcaps and make the car look really appealing. There is no good argument for trying to sell your classic car when it is dirty. Don’t neglect the interior, either. Even old and worn upholstery is more appealing when the dust is wiped off it. A little extra shine and polish on the dashboard can also go a long way to making a sale. Secure documentation – Dig out any documents you received when you bought the car that might attest to its authenticity. The make, model and year of a classic car are important for setting the value. Check your facts to be sure you know what you have and can prove it. If need be, have the car appraised or get a local dealer to authenticate the year and model. Also, get your documentation notarized whenever possible to increase credibility. Set the value – Once you confirm the make, model and year, do some research on the value of your classic car. Use more than one source as a reference. You may need to contact classic car clubs or other enthusiasts to get some idea of what your car is worth. Remember that the condition of your classic car will also affect its value, so be sure you are comparing equal items when pricing. Getting these things done ahead of time will make the sale go more smoothly. When your car is ready to sell, keep it clean and looking new until you get buyers to look at it. Hang onto all of your documentation that validates the price, and you can show it to show potential buyers. Even if you do not use the photos in your ad, when people inquire about the vehicle, the first thing they will ask for is photos. Get the car outside on a sunny day and snap a whole bunch of pictures. Shoot your classic car from every angle, inside and out. We live in an increasingly visual world. Most people who see your ad will look at the photos before they read the words. Buying a classic car can be an emotional purchase that is driven by good photos. If you are not able to get good pictures, hire a photographer to take them for you. A couple hundred dollars for professional photos will likely increase your selling price by at least that much. Classic car enthusiasts are a specific group of people. Most of them have some connection to the cars they collect, like the first model car they ever owned or the car they were driving when they met their wife. Research some statistics about the era your car is from and the relationship people developed with their cars back then. This will help you find the right group of people to market your classic car to. You can also check out local classic car clubs by year or by make. You may find an MG car club to market your classic MG to, for example. Marketing your classic car is a bit like fishing. Put as many lines in the water as you can, and one is likely to get a bite. List your car for sale on any free internet sight you can. Bring it to the attention of car enthusiasts in your area and across the country. Get the word out that you have a classic car for sale. In this respect, selling a classic car is like selling anything else — when you have a potential buyer, close the deal. Decide ahead of time how low you are willing to go on your price during the negotiations. When you receive an offer, always give a counter-offer to keep communication open. If someone is willing to travel a distance to look at your classic car for sale, they would rather buy it than go home empty-handed. Be sure you have all the necessary paperwork ready to go when the deal is final. When you sell a classic car, you are not only transferring title of the vehicle to the new owner, but you are handing over the authentication documents to them as well. To make this process smoother, have a mobile notary on hand to complete the sale on the spot. To schedule a mobile notary, call Superior Notary Services or use our online contact form.